LUCA MACAUDA: [22.11.208 – 31.12.208] REAZIONI A CATENA, group show curated by Gino Pisapia, Galleria Bonelli, Milano IT [26.10.2018 – 10.01.2019] SUB-TRACK group show at Villa Reale Monza, organized by M.AR.CO, Monza [23.03.2018 – 22.04.2018] PERSONALI MATEMATICHE Duo show at Spazio KN, Trento [20.01.2018 – 19.02.2018] CIANE, solo show at FONDAZIONE ROCCA DEI BENTIVOGLIO, VALSAMOGGIA, IT. MAX FRINTROP: [17.11.2018 – 30.12.2018] SOUL group show, Petra Rinck Galerie, Dusseldorf (D) [06.09.2018 – 12.10.2018] LARDO solo show, Berthold Pott gallery, Cologne / [opening 28.07.2018] BREAKFAST AT TIFFANY’S Group Show @COLLECTORS DEPOT, Pörtschach am Wörther See, AU / [19.04.2018- 2.06.2018] CHANSONS DANS LE VIDE Solo show at Albert Baronian Gallery, Brussels, DE / [1.09.2017 – 30.09.2017] Solo Exhibition at KUNSTVEREIN HEPPENHEIM, D. JAHRESGABEN / [27.10.2016 – 4.02.2017] GROUP SHOW @ FONDAZIONE CARRIERO “FASI LUNARI”, CURATED BY ALBERT OEHLEN, MILANO IT. MARCO GOBBI: [30.10.2018 – 04.11.2018] Per Nexts, indipendents art festival, Figolamerda, un progetto di Fondazione Malutta a Spazio Ferramenta, Torino. [05.10.2018 – 04.11.2018] ll Gemello Cattivo, project by Fondazione Malutta, Museo Santa Maria della Scala di Siena, Just Image Project Room, Siena, IT. [15.09.2018 – 23.12.2018] group show, IL LANTERNISTA, project by Gli Impresari, cureted by Angel Moya Garcia, at TENUTA DELLO SCOMPIGLIO – SPE, Vorno (LU), IT / [20.06.2018 -21.07.2018] TORRE MALUTTONA + MERCATO BABELICO, group show @MONITOR GALLERY ROMA/ [26.11.2017 – 17.12.2017] PREMIO FRANCESCO FABBRI 2017, opening group show / RESIDENT @ MACRO ROMA – UNTIL OCTOBER 2017 /[26.03.2016 – 10.04.2016] duo show: MARCO GOBBI AND THOMAS HUTTEN, VERY LITTLE CAN BE JUST RIGHT, IN COLLABORATION WITH DRAWING FRONT, B32 ARTSPACE, MAASTRICHT, NL. MARCO LA ROSA: [14.1.2018 – 21.1.2019] solo show – Spazio Cordis, VR [30.09.2018 – 04.11.2018, opening 29.09.2018] THE USELESS LAND, Group Show, curated by Irene Sofia Comi and Elda Maresca, @CASTELLO DI LAJONE, Quattordio (AL), Italy / [21.07.2018 – 07.10.2018] BIENNALE LIGHT ART MANTOVA 2018, Gropu show, @PALAZZO DUCALE, Mantova, IT / [31.10.2017 – 30.11.2017] Group show at Catholic University of Milan. Organized by contemporary art department. Milano IT / [18.03.2017 – 13.04.2017] Duo show @ SAN ROCCO ART MUSEUM TRAPANI, SICILY, IT. NAZZARENA POLI MARAMOTTI : [16.10.2018 – 21.10.2018] 19° PREMIO CAIRO, at PALAZZO REALE, Milano, IT / [19.05.2018 – 23.06.2018] UNTERWASSER, Solo show at A+B Gallery, Brescia, IT / Solo Show, ACADEMIE OF NUREMBERG, DE / [2.12.2017 – 3.02.2018] Group show MOTO ONDOSO STABILE at Z2O GALLERY, ROME. Curated by DAVIDE FERRI / [20.05.2017 – 30.09.2017] DOLOMITI CONTEMPORANEE – GROUP SHOW @ FORTE RICCO, PIEVE DI CADORE, IT. OSAMU KOBAYASHI: [opening 24.11.2018] solo show, at A+B GALLERY, Brescia, IT / [30.08.2018 – 02.09.2018] group show CODE ART FAIR 2018, in Copenhagen / [16.03.2018 – 26.05.2018] NOONTIDE Solo show at Mindy Solomon Gallery, Miami, USA / RESIDENCY: Sharpe-Walentas Studio Program 2017-2018. / RESIDENT @ 701 CCA, COLUMBIA, SC. SILVIA HELL: [opening 07.10.2018] 50° PREMIO SUZZARA, at GALLERIA SUZZARA, Suzzara, IT / [06.10.2018] FRIEZE CHARITY POSTACRD SALE, promoted by Tracey Emins and Deutsche Bank Centenary Fund, at FRIEZE LONDON, Londra, UK / [24.03.2018 – 10.05.2018] INCREASING THE WIND PRESSURE Solo show at A+B gallery, Brescia, IT / [4.02.2017 – 20.12.2017] Theatre of the Measurement, KUNSTVEREIN MUNCHEN, curatet by Post Brother. Munchen DE / [27.01.2017- 19.03.2017] MUSEUM OF MODERN AND CONTEMPORARY ART, RIJEKA GROUP SHOW: TO EXIST BETWEEN THERE AND THERE. SIMON LAUREYNS: [30.06.2018 – 29.09.2018] solo show SKINNY DIPPING, at A+B GALLERY, Brescia, IT / [21.04.2018 – 13.05.2018] NEIGHBOURS – VOL. VII Group show at Jean Colle Gallery / [18.04.2018] THE GATHERING Group show at Panthera Studio, Brussels / [9.03.2018 – 11.03.2018] LAST DANCE, group show by Joep van Liefland and Maik Schierloh, AUTOCENTER AT THE KINDL, BERLIN / [3.09.2017 – 15.10.2017] Kunsthaus, Essen, MEMORIES OF AN ELEPHANT (with Tamina Amadyar, Simon Laureyns, Mathis Malling Mortensen), Essen DE. STEPHANIE STEIN: [9.03.2018 – 11.03.2018] LAST DANCE, group show by Joep van Liefland and Maik Schierloh, AUTOCENTER AT THE KINDL, BERLIN / Jahresgabe 2017 GROUP SHOW AT KOELNISHER KUNSTVEREIN / [30.04.2016 – 11.06.2016] Solo show: UNTITLED, Q-BOX GALLERY, ATHEN. UNTITLED (SUBSTITUTE), ASPN, LEIPZIG, DE. TIZIANO MARTINI: [22.11.208 – 31.12.208] REAZIONI A CATENA, group show curated by Gino Pisapia, Galleria Bonelli, Milano IT [30.08.2018 – 02.09.2018] group show CODE ART FAIR 2018, in Copenhagen / [19.04.2018 – 22.04.2018] Solo show Art Cologne / [6.10.2017 – 3.11.2017] Solo show ACHEMBACH HEGENAIEIR, DUSSELDORF, DE. TOBIAS HOFFKNECHT: [12.10.2018 – 15.10.2018] RAW ZONE, at ARTVERONA, Verona, IT / [opening 06.10.2018] solo show LIMITED ATTENTION, at A+B GALLERY, Brescia, IT / [7.03.2018 – 21.04.2018] IMMATURE Solo show at CRONE GALERIE, WIEN AT / [10.12.2016 – 31.12.2016] Solo Show at CRONE GALLERY, BERLIN, DE. A+B gallery @ ART COLOGNE 2018: Neumark Collaborations Section, solo show by Tiziano Martini. A+B gallery @ ARTVERONA 2017: Verona IT, Tiziano Martini, Max Frintrop, Marco Gobbi, Davide Mancini Zanchi. A+B gallery @ ARTBOLOGNA 2017: Nueva Vista Section curated by Simone Frangi, artists: Simon Laureyns, Silvia Hell. NOVEMBER 15 > 18: FIRST STEP 9, SARA MINIGHIN, Oggi, tornando a casa, in barca ho dato un passaggio ad una libellula. Inaugurazione Giovedì 15 novembre, ore 18.00. fino a domenica 18 novembre, visite dalle 15 alle 19. 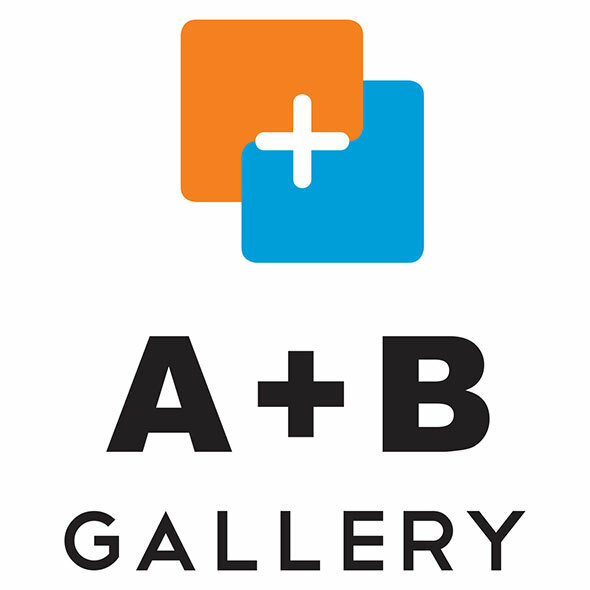 A programma with Art Academy of Verona & A+B gallery. JULY 20 >24 2016: MASSIMILIANO VIEL, ANDROMEDA (audio installation in occasion of Musical Zoo Festival and Materia Sonica performing project) Born in Milan, 1963. Lives and works in Milan. Massimiliano Viel attended studies in electronic music, orchestra conducting ethnomusicology and composition in Milano, Parigi, Salzburg, Odense with professors such as A. Corghi, M. Stroppa, K. Huber, B. Ferneyhough, K. Stockhausen, F.Donatoni and T.Murail.